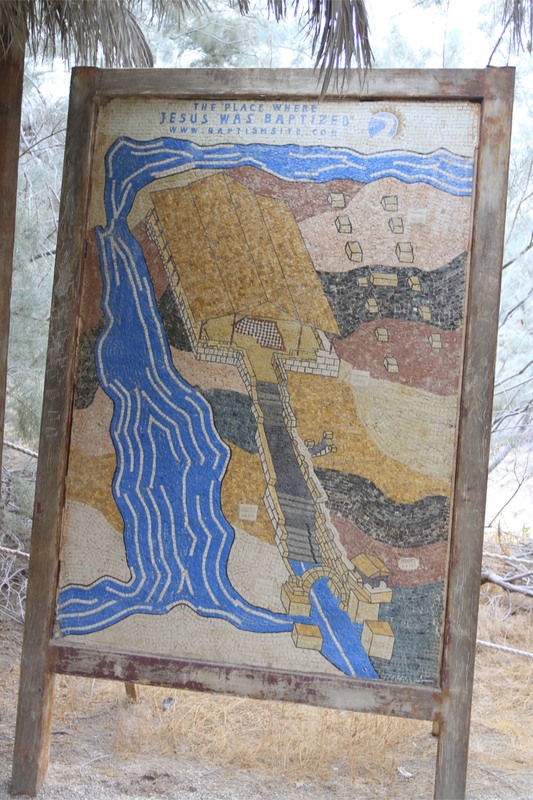 The River Jordan, a once mighty life giver in one of the most arid regions on the planet, may still be venerated by religious tourists but it has become a shadow of its former self. The Jordan Trickle would be more appropriate these days. 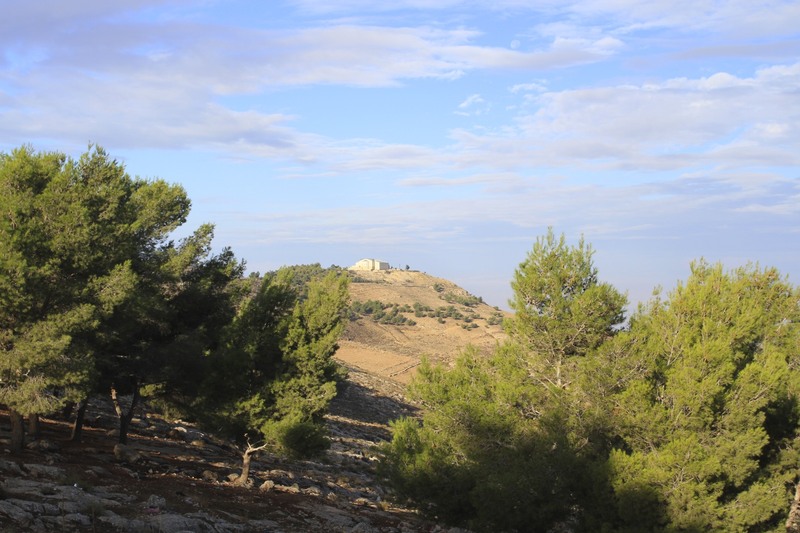 Thanks to relentless extraction of fresh water by Israel, Jordan and Syria the flow of water is today vastly reduced. 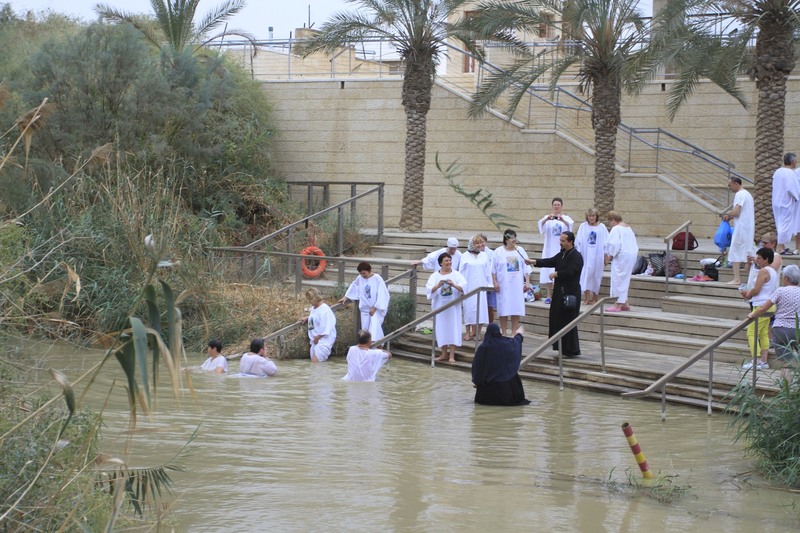 This is the main reason the Dead Sea is dropping by over a metre every year. 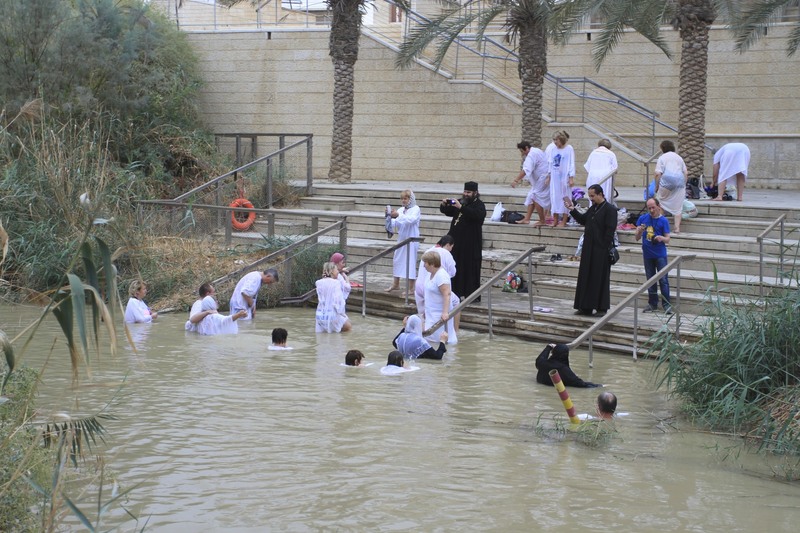 Without the Jordan’s waters, the Dead Sea is an ecological disaster in the making. 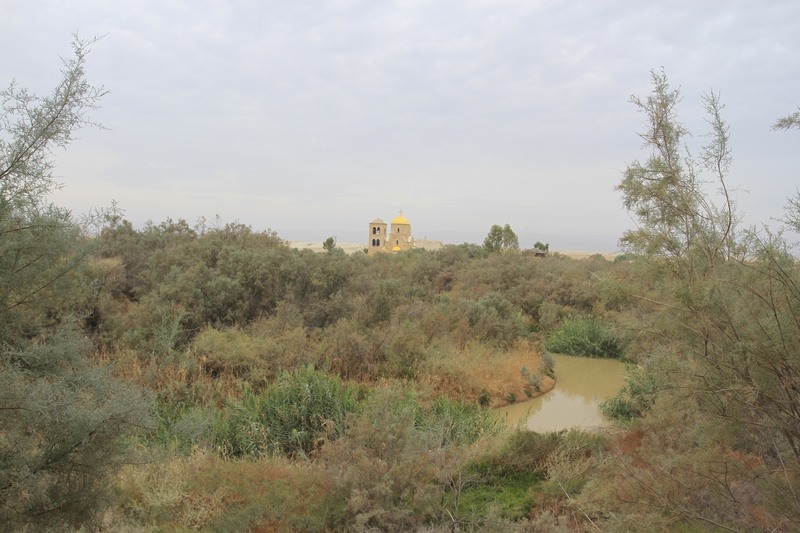 What’s left of the River Jordan’s brown, slow moving waters includes large amounts of “untreated sewage, agricultural run-off, saline water and fish pond effluent”, according to Friends of the Earth Middle East. 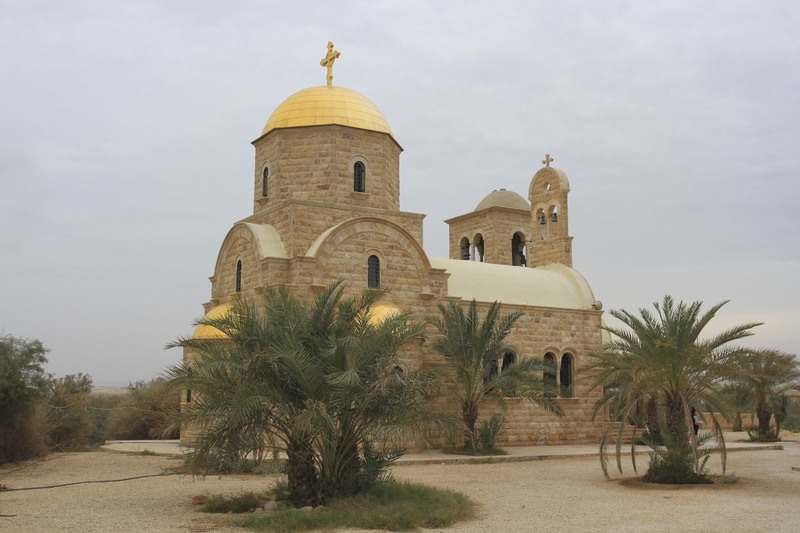 This held no fears for Russian pilgrims visiting Bethany Beyond the Jordan, the site where John the Baptist is alleged to have baptised Jesus. 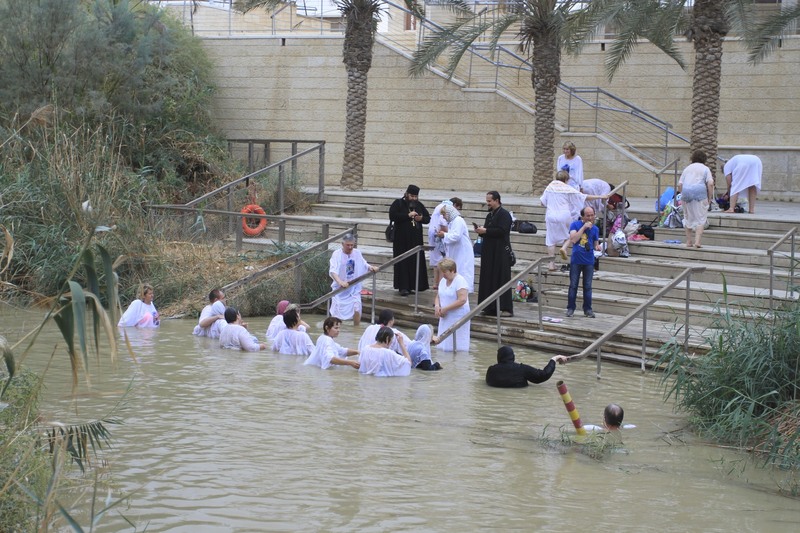 The baptismal site is in modern-day Jordan and the Russians were in the occupied Palestinian West Bank; despite being in the wrong place their religious fervour was enough to repeatedly dunk themselves into the Jordan’s turgid, polluted waters. I hope they’d had a full range of inoculations, this is not water you want to ingest. 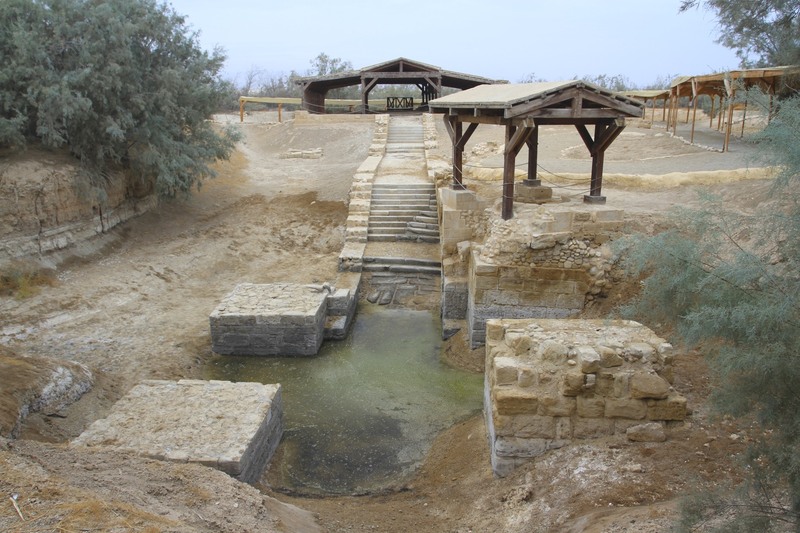 Bethany Beyond the Jordan is a relatively new discovery, for years people had misidentified the location of the site where the Israelites are supposed to have crossed into the Promised Land, and where John did his baptising. 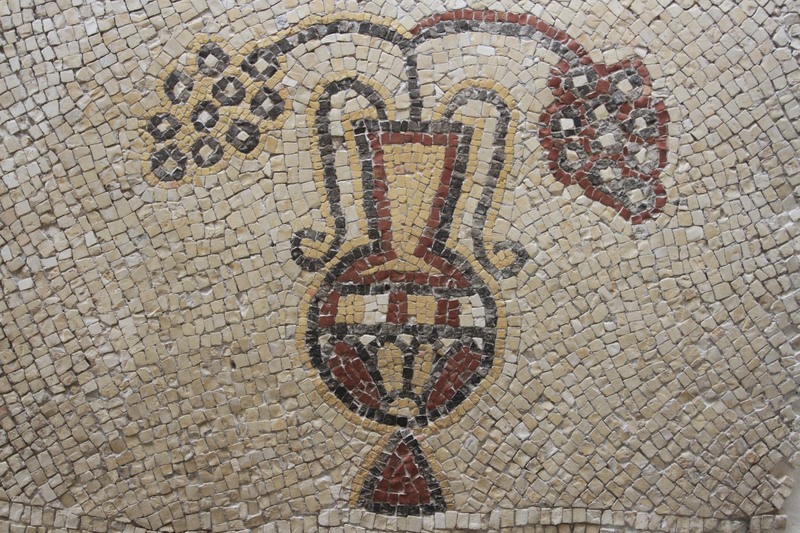 It was only in the 1990s that excavations unearthed churches, including a 5th Century Byzantine church, several baptismal pools and pilgrim guest houses identifying this as the Baptism site. 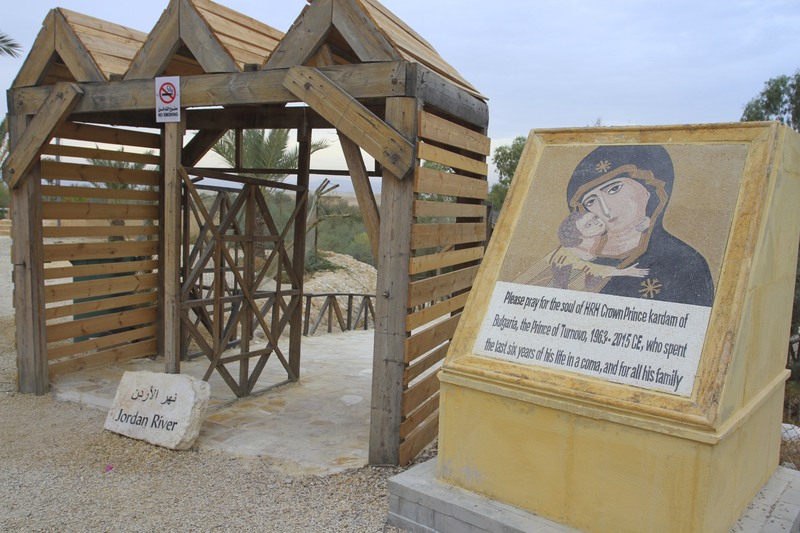 In a region where violence and religion seem to go hand-in-hand, it’s no surprise that the discovery of Bethany Beyond the Jordan came when the Jordanian army was removing anti-personnel mines following the historic 1994 peace treaty with Israel. Ironically, one of the major principles of the treaty involved the sharing of water and assistance during drought. 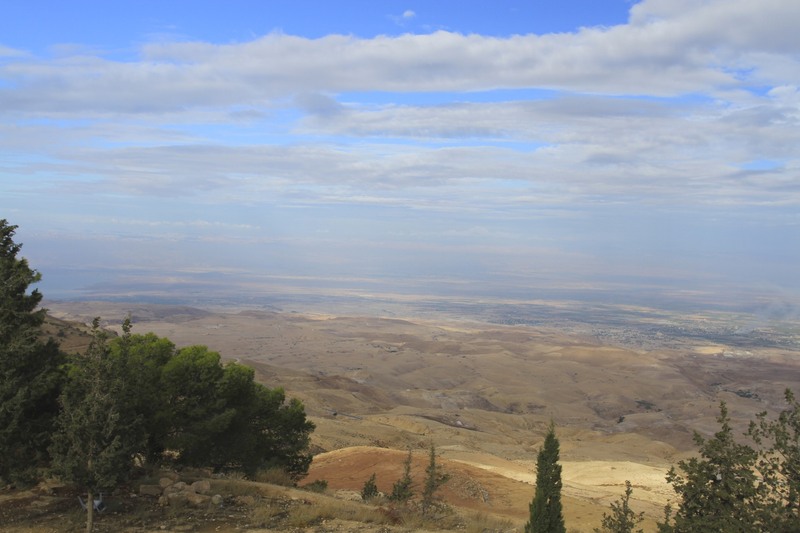 Stand on the banks of Jordan river, face east away from Bethany Beyond the Jordan, and you see a forbidding mountain range. 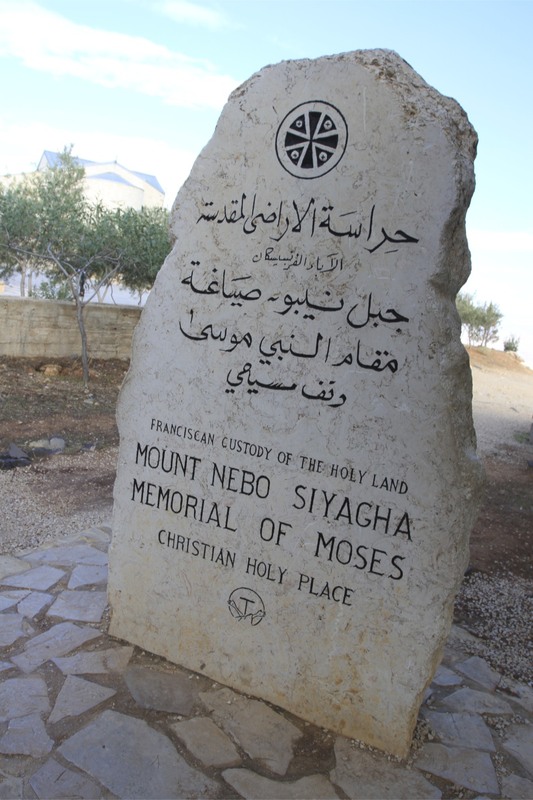 Amongst these hills sits the equally famous pilgrimage site – for Christians, Jews and Muslims – of Mount Nebo. 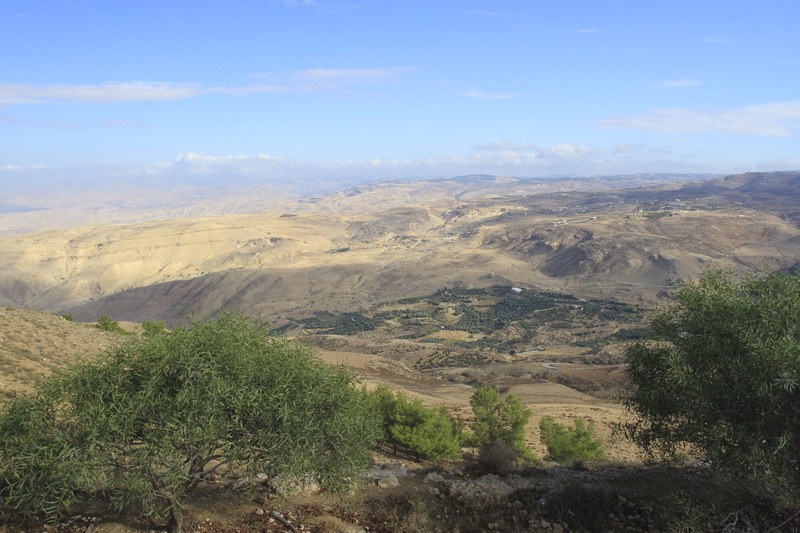 This is where Moses is said to have first glimpsed the Promised Land, and presumably the lush green fertile Jordan Valley. 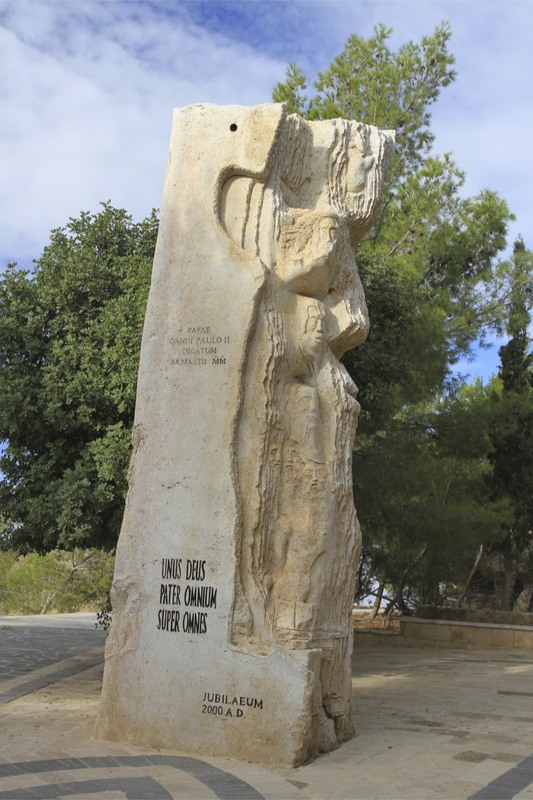 It’s a 30 minute drive, the sweeping vistas over the Dead Sea, Palestine and Israel providing a counterpoint to the view from the banks of the River Jordan. 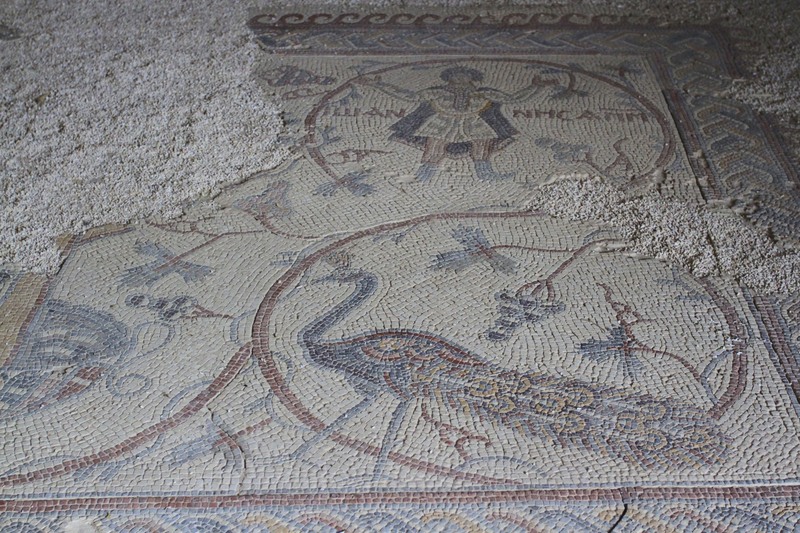 On top of Mount Nebo a 6th Century Byzantine church has been discovered with beautiful mosaic floors. These were once covered by an attractive church, which has now been replaced by an ugly looking building which is still not open after 8 years of building. 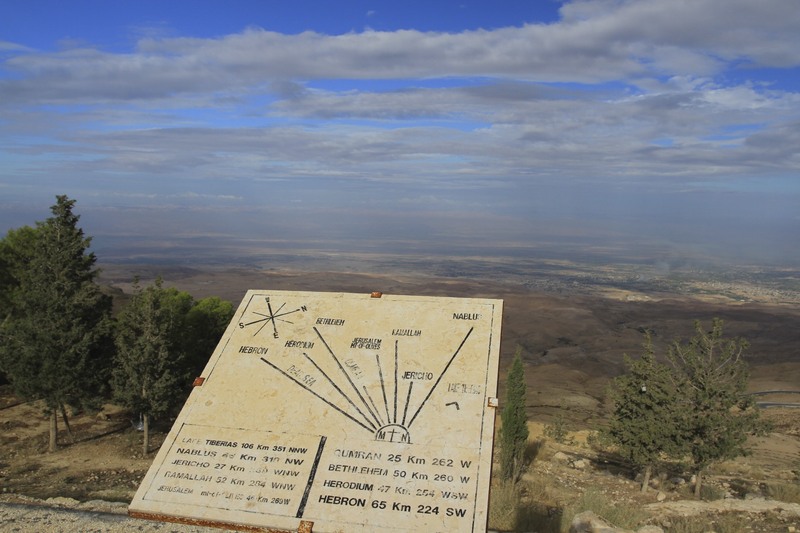 You can see some of the mosaics and the view of the valley is spectacular – Jericho is easy to see and Jerusalem can be spotted through the haze somewhere in the distance. 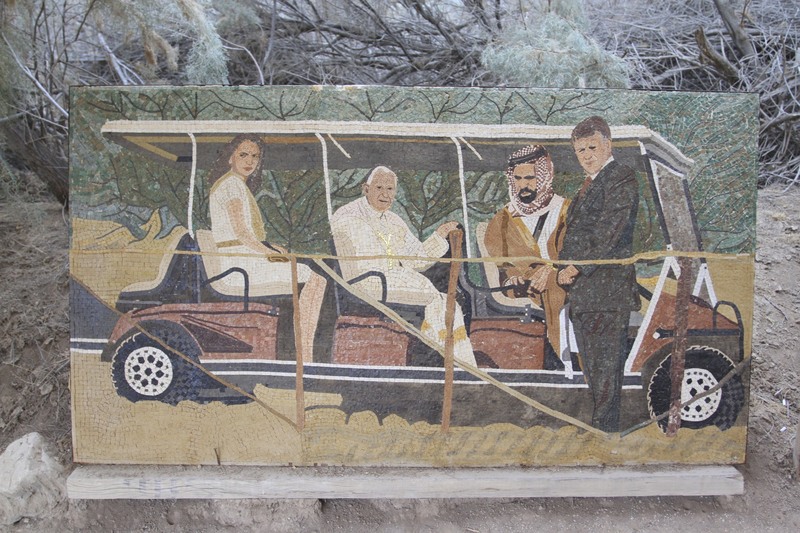 I arrived before the opening time and found myself chatting to a Jordanian policeman who gave me an unofficial tour. 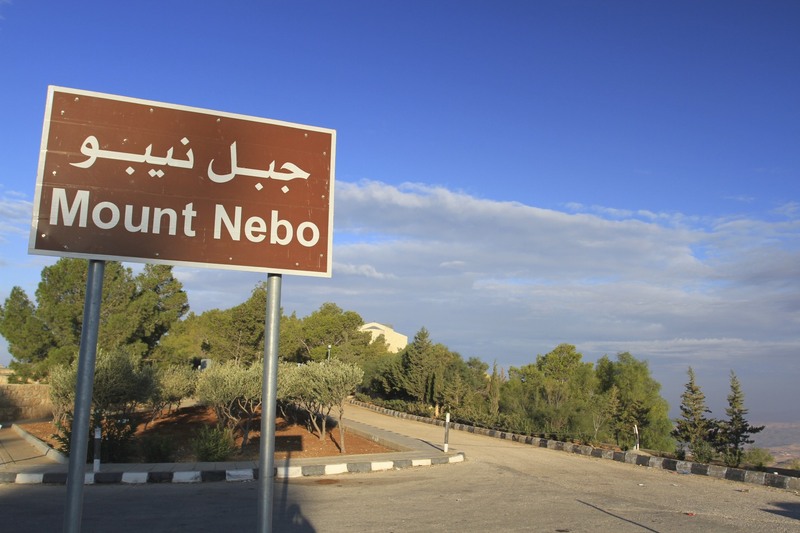 Mount Nebo has been on the pilgrimage trail since Roman times, people would start in Jerusalem and, via Jericho and Bethany Beyond the Jordan, end at Mount Nebo. 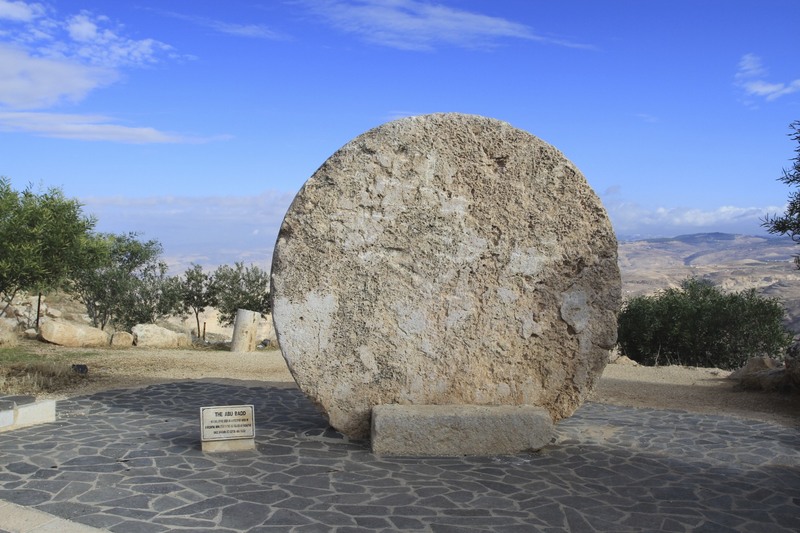 As I left, the first tour group – interestingly pilgrims from Korea – of the day rolled in. I gladly made my exit.